Courage isn’t feeling unafraid. It’s trusting in God’s power to help you live His way. Compared to Bible heroes and superheroes, it may seem like a regular kid might not have what it takes to show courage. 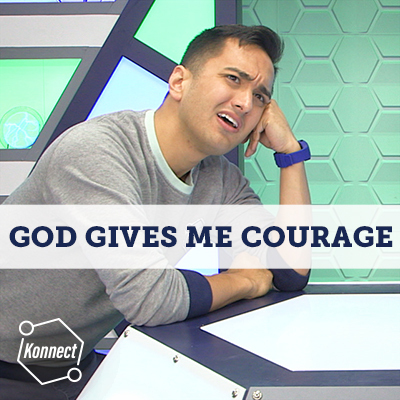 But in this four-part series, kids will learn just what courage is and how God can empower everyone who trusts in Him. Courage is bravery in the face of fear, doing what’s right even when no one else is, never giving up on the directions God’s given us, praying to see God’s promises come true, and giving up everything in our lives as a sacrifice to Him. Kids’ worship songs KOTM Medley, I Am Yours, Journey of a Lifetime, Who You Are, and My Life His Story made available by Church on the Move’s children’s ministry, Kids on the Move. Kids’ worship songs He Has Won, Undefeated, and Already Won made available by Elevation Church’s children’s ministry, eKidz. Kids’ worship song Children of the Light made available by River Valley Network’s children’s ministry, Go Kids. Find emcee guides, activity supplements, and more below.